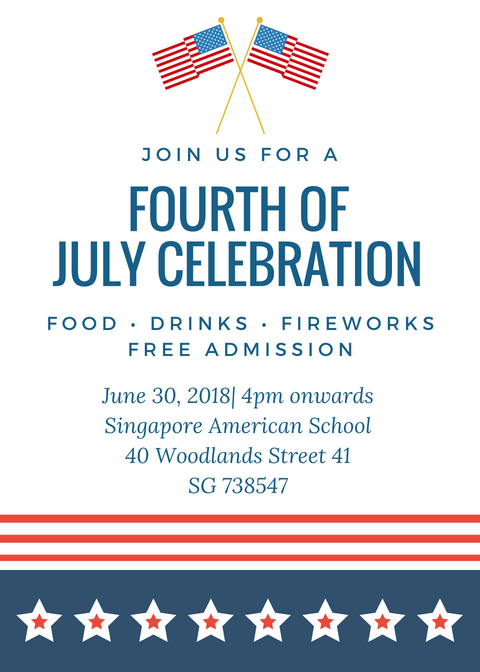 Time to celebrate the American spirit in Singapore – life, liberty and the pursuit of happiness – Singapore’s annual 4th of July Celebration in partnership with Singapore American School! Enjoy free admission to a family-friendly day of music, food, drinks, carnival games and patriotism, capped off by formal ceremonies and a spectacular fireworks display. This year’s new attractions include a super-sized inflatable obstacle course, a Marketplace full of unique and beautiful gifts and a local celebrity dance instructor who will lead us in some super fun line dancing. Century Cellars is honoured to be a proud sponsor of the event, and look forward to serving you delicious drinks throughout the afternoon!